FONTANA, Ca. — Saturday night under the lights at the Auto Club Speedway, the weather was hot but the MAVTV500 IndyCar race was even hotter. Polesitter Helio Castroneves challenged former NASCAR driver Juan Pablo Montoya early. Montoya was able to make quick work of Castroneves taking the lead and never looked back. Championship contender Simon Pagenaud came in for a pit stop on lap 23, had a problem in his pit and quickly went 2 laps down before the rest of the field started their scheduled stops. Will Power, another Championship contender who started in the 21st position, needed to make up 15 spots and hold clinch his first ever Verizon Indy Car Series (VICS) Championship. As Castroneves struggled to stay in fourth, Power moved up through the field early. On lap 61 Power seemed to come to a stop and found himself unable to move through the rest of the field to get to the spot he needed to take the Championship trophy. At lap 89, James Hinchcliffe was now in command of the field and it appeared that he was going to be the one to take home the checkers. Unlike NASCAR, the VICS cars seemed to run away from the rest of the field when out front. At lap 100, Montoya came in for a pit stop and was quickly lapped by Ed Carpenter. Carpenter, upon making his stop, came in to the pits and was penalized for being too fast and suffered a pass through penalty. After coming in to serve his penalty, Carpenter found himself mired back in 13th. Coming to the halfway point, it was none other than Montoya still in the lead when Ryan Hunter-Reay decided that it was his turn to take the lead. As soon as Hunter-Reay took the lead he was able to drive away from Montoya with a lead of over three seconds. On lap 143, former race leader Hinchcliffe was issued a pit road speeding penalty bringing him onto to pit road. Hinchliffe, who was leading at one point, found himself in the 14th postion but still on the lead lap following the penalty. Power methodically moved his way up through the field, and at lap 151, found himself in the 7th spot — the position he needed to clinch the 2014 Championship by one point over teammate Castroneves. The race was running at record pace — and at lap 155 — Castroneves took back the lead. 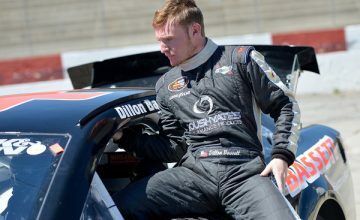 At this time, he was informed of where his teammate Power was on the track and exactly what he needed to do to make sure that he was the one that came home with the Championship. At lap 176, Hunter-Reay spun coming out of turn 4 bringing out the first caution of the night. This brought all the cars on the lead lap and reset the entire field. Following pit stops, it was Tony Kanaan who assumed the lead. With Pagenaud now out of Championship contention, this left two men standing for the VICS trophy. At lap 188 the race went back to green and the best racing of the night was taking place — going three and four wide. Out of nowhere, Power took the lead at lap 191 in dominant fashion, with Castroneves now back in fifth. This now gave Power the Championship and it became apparent that this was now his Championship to lose. With 40 laps to go, Kanaan was in the lead and Power now found himself comfortably in the fourth spot. Castroneves was in fifth, and Montoya, the third Team Penske driver, was awarded the two bonus points for leading the most laps. As the final stops were being made, Power came in and needed the cleanest stop of his life. Making his stop, it was picture perfect — exactly what he needed. With 30 laps to go, Castroneves was given a pit road penalty for being on the apron and then crossing back over onto pit lane. This was what Power needed with 27 laps to go. Castroneves was now one lap down, leaving one man standing for the Championship. Closing in on 10 laps to go, Kanaan was poised to score his first win of the 2014 season. Power had now dropped to 8th but still had the Championship locked. Power now was racing in safe mode. You could clearly see that he wasn’t taking any chances. His team was now counting the laps down for him. In the pits, his wife Elizabeth — who had been chewing on a plastic water bottle all night — had yet to turn around and face the track. 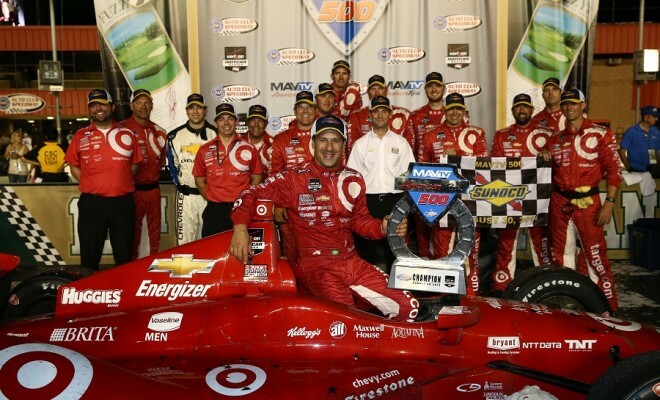 When the checkered flag flew, it was Tony Kanaan winning the race and Will Power being crowned the 2014 World Champion. Not too bad for a guy who started next to last in the field. Rest easy, Will. You are now a Verizon IndyCar Series World Champion. ← Previous Story VICS: Will Power – Is the Fourth Time the Charm? 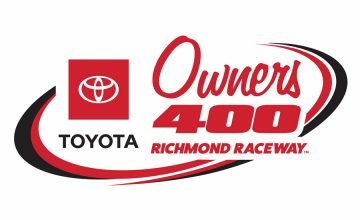 Cathy Brown is a Contributing Writer in the NASCAR department for Rubbings Racing and can be followed on Twitter @SoCalRaceGirl14. A native of Southern California, Brown has been following NASCAR since 1979 and IndyCar since the late 80's.